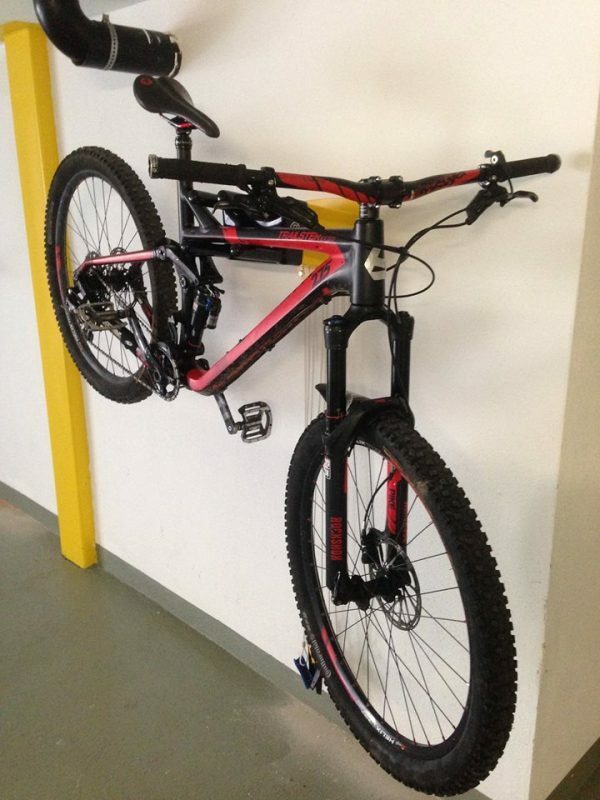 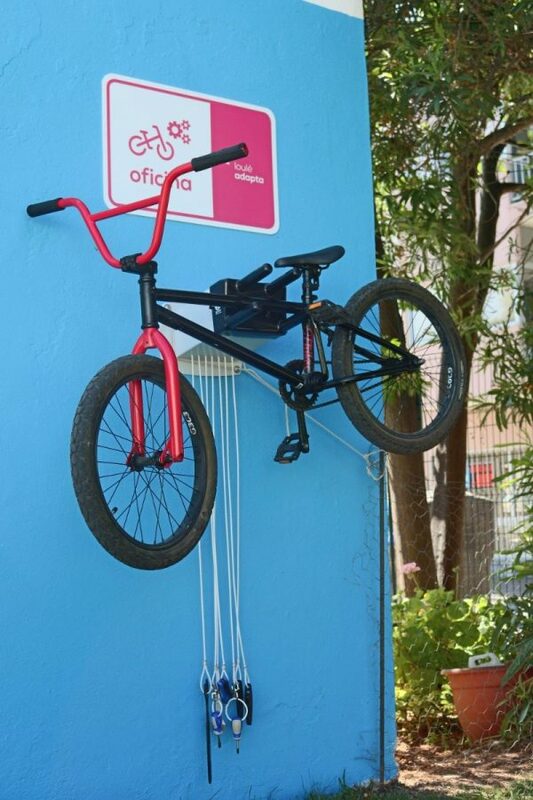 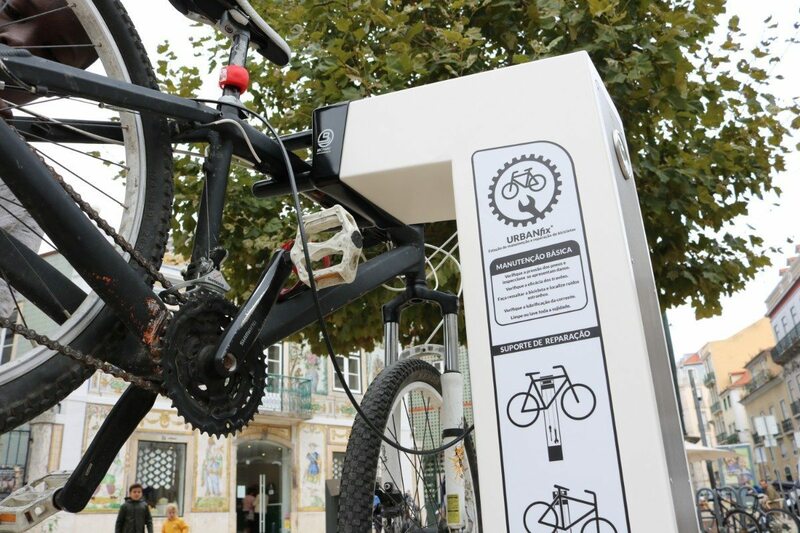 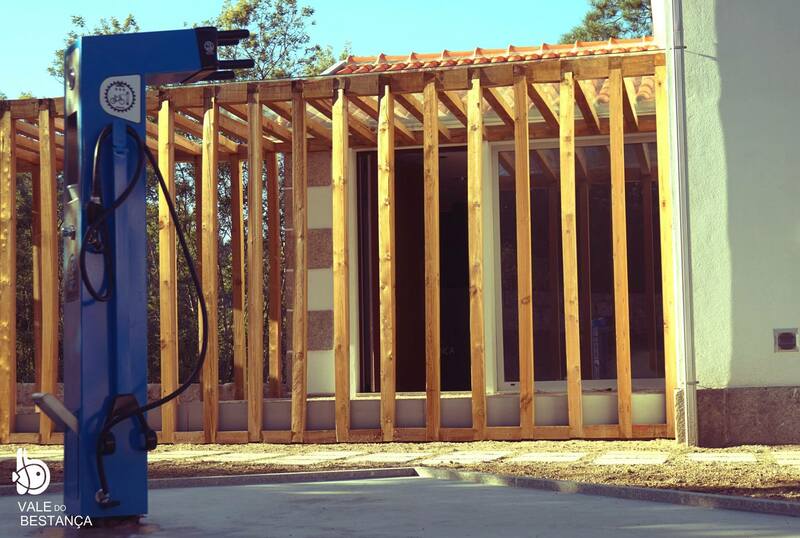 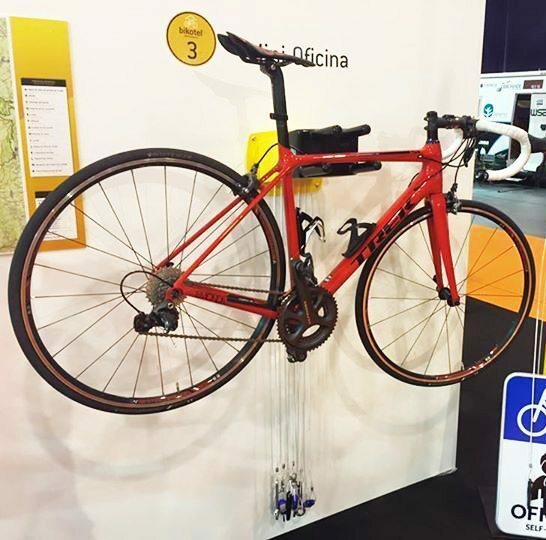 Universal and patented bicycle stand to be wall mounted, with Seven bicycle specific tools. 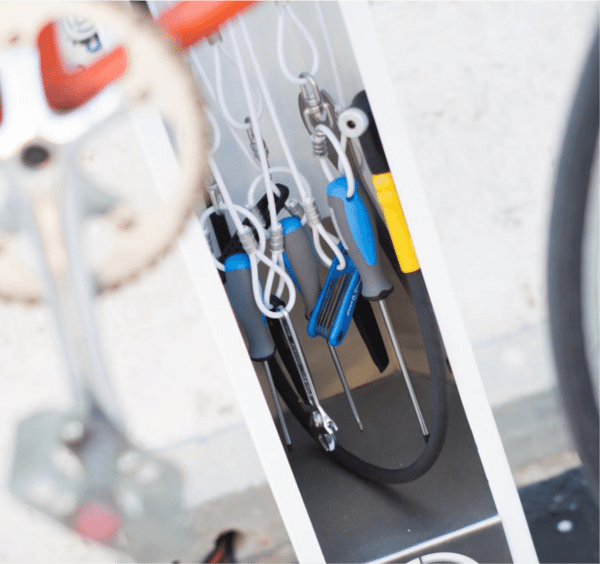 The most complete and compact repair, washing and tuning station for bicycles, with water spout included. 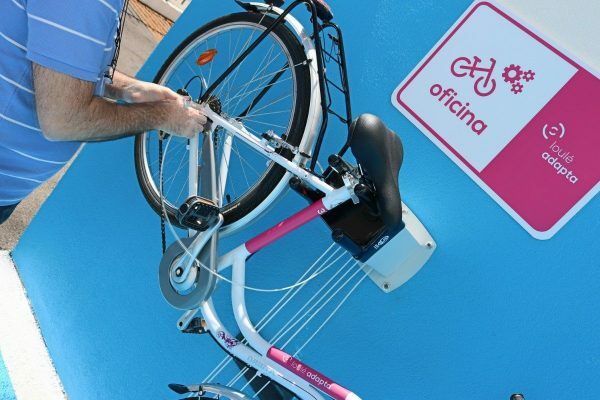 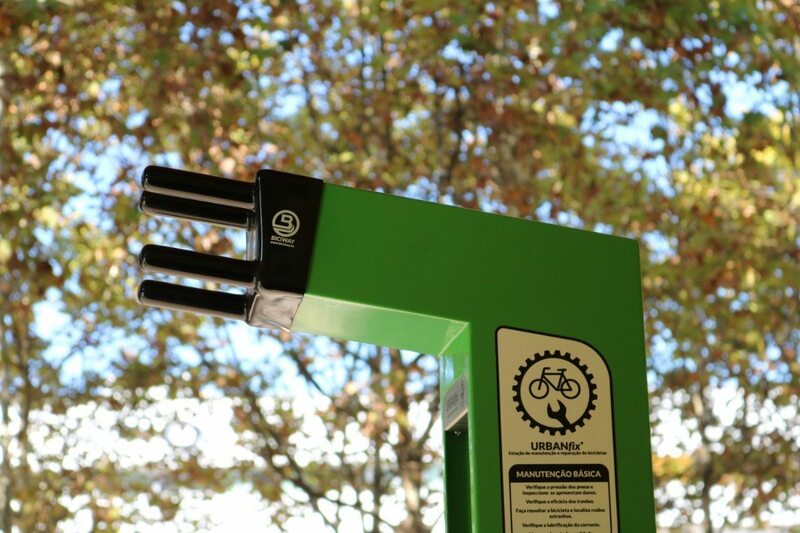 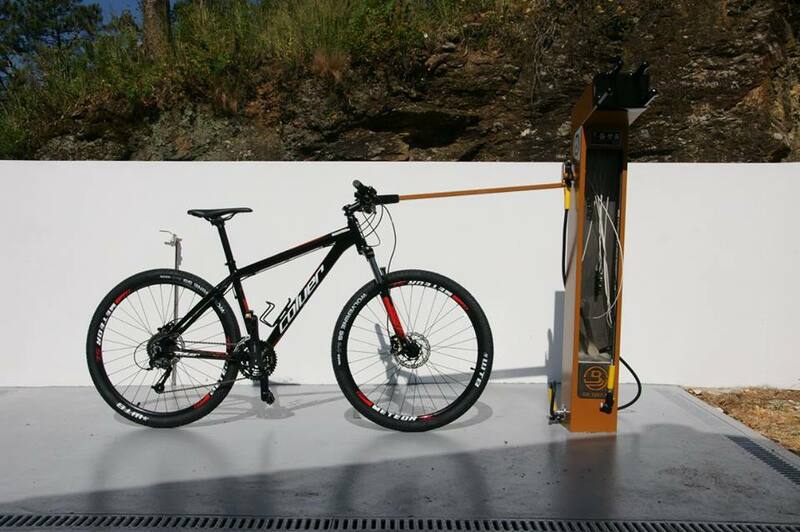 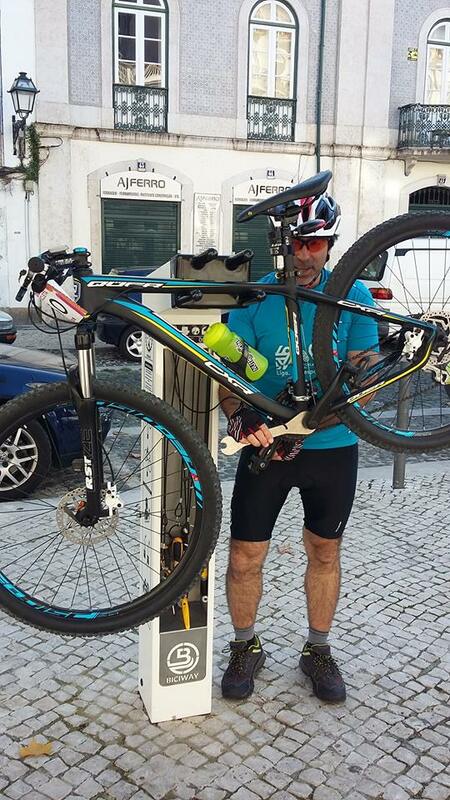 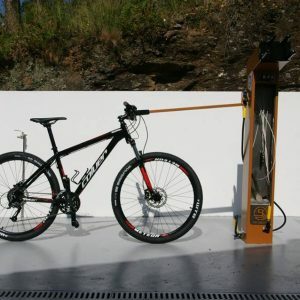 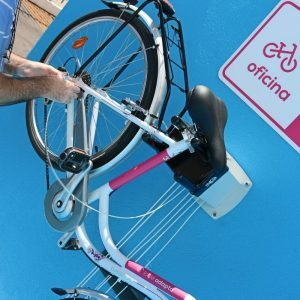 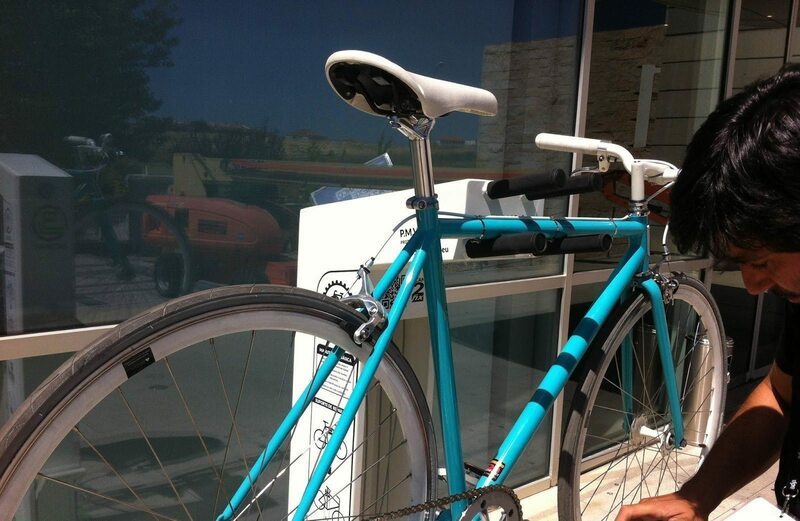 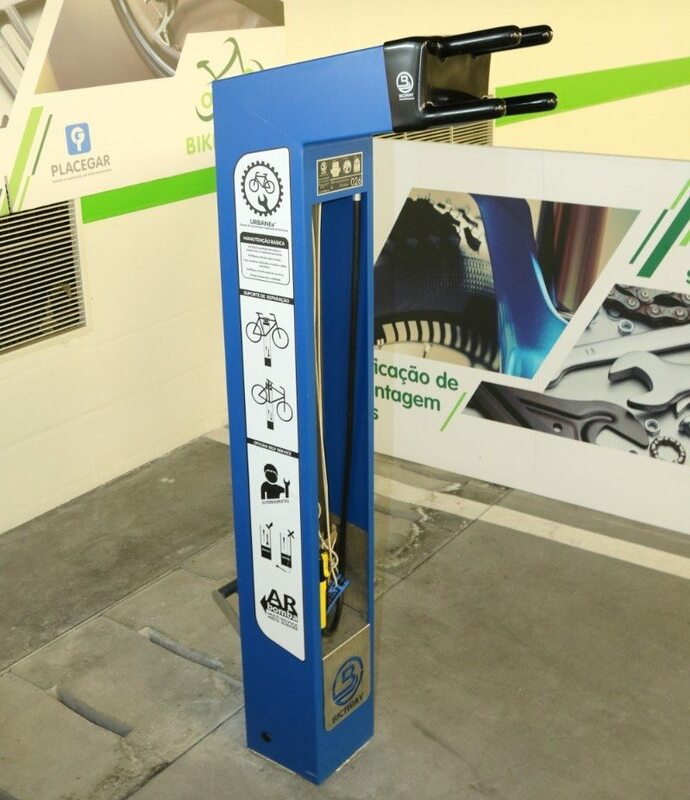 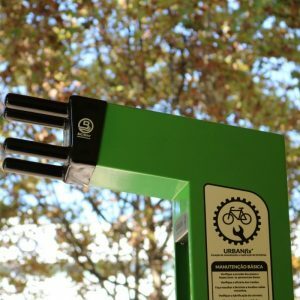 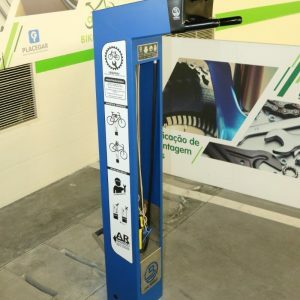 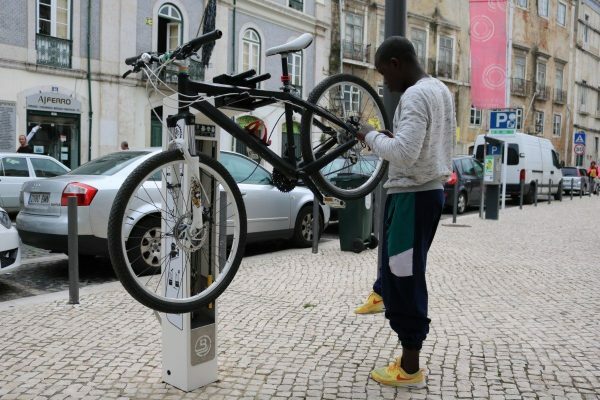 It allows you to repair one bicycle while washing another and filling your water bottle at the same time.